Usually used for clear outs and Large construction jobs. Waste types: soil, rubble or general commercial and domestic waste. Fit easily on a standard sized driveway. Fits in the equivalent of one car parking space. 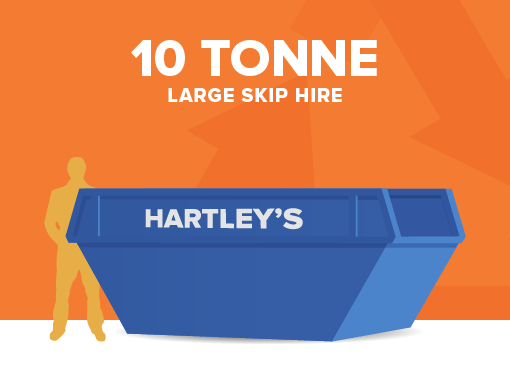 Ideal for domestic or business use, this skip is very popular skip for domestic and business customers alike. A great skip for renovation projects or big clear outs. The capacity of this midi skip is 8 yards³/6.12m³. The skip dimensions are (average) Height 1.5m (4″ 11″) | Length 3.74m (12″ 3″) | Width: 1.78m (5″10″).